Win Tickets For A West End Show With Cactus! 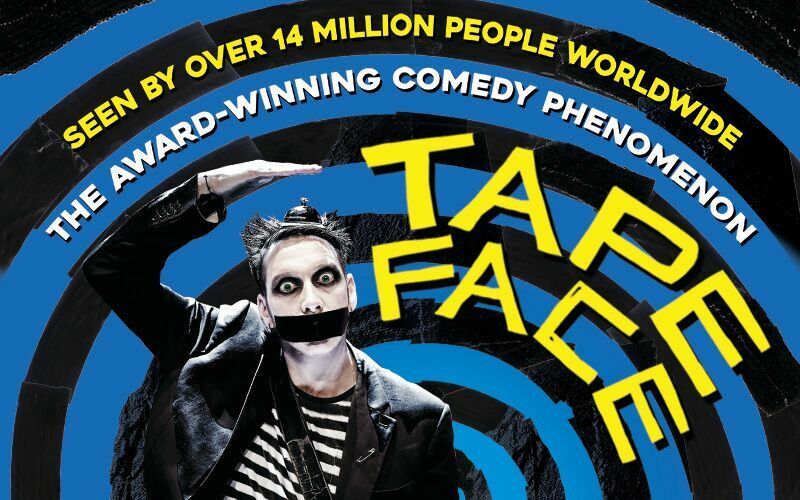 Join TAPE FACE as he brings his uniquely hilarious and moving comedy to London, in a multi-award winning spectacle that needs to be seen to be believed. Don’t miss the chance to experience the phenomenon: finalist of America’s Got Talent 2016 and critically acclaimed around the world! a�?His three-man Jackson Five numbera�� might just be the greatest five minutes of art created by mana�� Properly funny, truly wondrous. a�? Cactus is celebrating our upcoming July Evening Language Courses with a competition to win one of two pairs of tickets for Tape Face. His hilarious and moving spectacle of silent comedy is accessible for a multilingual audience. Youa��ll laugh, youa��ll cry, and when ita��s over youa��ll be completely lost for words! Enter the competition by simply sharing our post on Facebook. Prize package is a one of two pairs of (2 tickets) tickets to Tape Face at the Garrick Theatre, London. Valid any one performance between Friday 14th July and Saturday 22nd July 2017 (Evening performances). Subject to availability. Closing date: midnight 13th July 2017. The winner will be notified via email/phone no more than 3 days after the closing date. The winner has 3 days to accept the prize and respond to the promoter via phone or email, otherwise a new winner will be chosen at random. Tickets are non-refundable, non-transferable and there is no cash alternative. Competition open to UK residents Only. Competition promoter is Boom Ents Ltd, 17a Newman Street, London, W1T 1PB. Previous Previous post: What Happens Behind the Classroom Door?